Hemp protein There is 1 product. 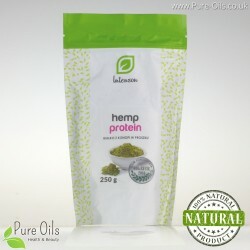 Hemp protein powder is obtained by the cold pressing of carefully selected cannabis seeds. This product contains omega-3 and 6 fatty acids, B-group vitamins and valuable minerals such as: iron, calcium, potassium, phosphorus, and magnesium. Hemp protein powder is a great alternative for athletes, active and health-conscious people.